for $489,500 with 4 bedrooms and 3 full baths. This 3,240 square foot home was built on a lot size of 43X65X158X46X134. Beautifully maintained home by original owners, this 2 story beauty has a fantastic floorplan! Large 2 story entry flanked by living & dining rooms plus butler's pantry leading to the updated kitchen with custom tile backsplash, granite countertops & newer appliances. Don't miss the walk-in pantry & oversized eating area with bump-out bay & door to deck & private yard w/professionally designed & maintained garden. Hardwood flooring throughout the main floor! 1st fl office/possible 5th bedroom w/closet & adjacent to full bath! 1st fl laundry! Newer, custom tile work in all 3 bathrooms including master bath with heated floor, double vanity, whrpl & separate shower! Master suite features hardwood flooring & large walk-in closet! Plantation shutters on all front windows! Newer features include: Furnace in 2010, roof in 2013, HWH in 2012, sump pump in 2013, freshly painted exterior in 2016, new garage doors in 2018! 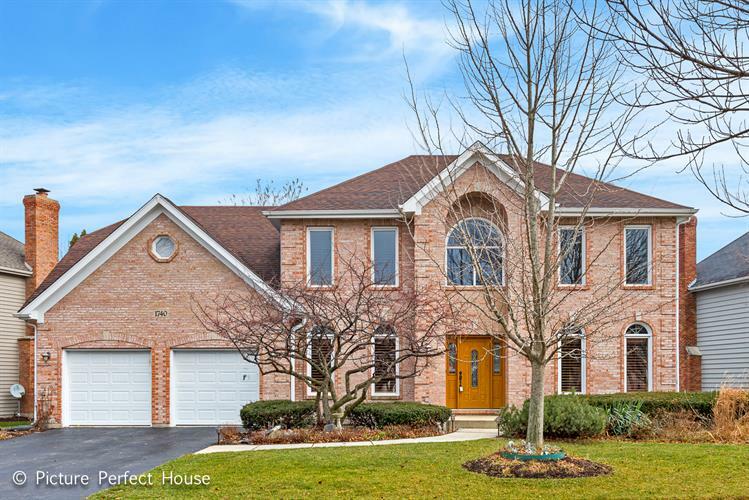 Great location close to schools, shopping, highways & DT Naperville! HURRY!